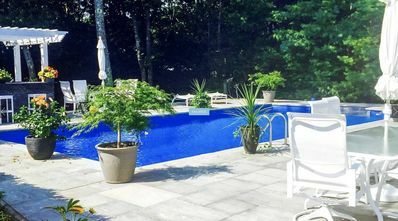 This beautiful 3-bedroom, 3.5 bathroom vacation rental home in East Hampton sleeps 6 comfortably and will not disappoint! You'll never want to leave the 1-acre property, boasting modern amenities, a private outdoor pool, and multiple balconies and decks! 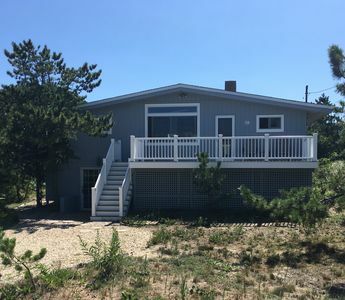 But, with such an excellent location, you won't want to miss out on the numerous attractions nearby, including East Hampton Main Beach, Napeaugue State park, golf courses like Montauk Downs Golf Course, and Montauk Lighthouse Museum! 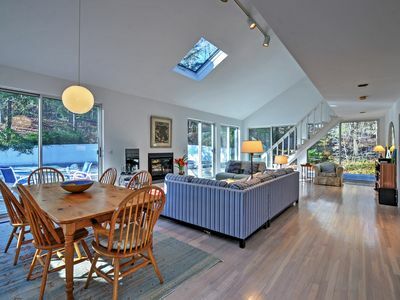 There's plenty of room for you and your companions to sprawl out throughout in this East Hampton vacation rental house! The impressive 1,875 square feet of living space has been elegantly decorated and furnished with travelers in mind. 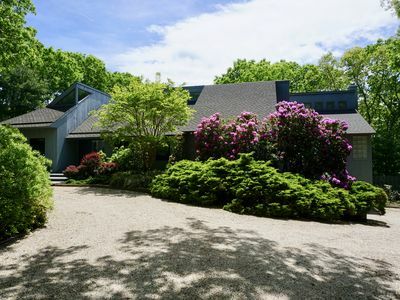 The stunning mid-century, contemporary exterior is complemented by a private acre of verdant scenery, consisting of towering trees and countless mature plants. The bright and open interior is equally as delightful, boasting thoughtful decor along with plush furnishings and modern appliances. 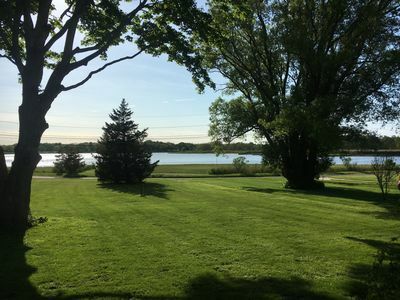 Everything you'll need for a comfortable stay is here, including central heating and air conditioning, wireless internet access, 2 large flat-screen TVs, ping pong, in-unit laundry machines and a wood burning fireplace for those brisk East Coast nights. Additionally, the property's fully equipped kitchen is well supplied to meet every culinary need that may arise. 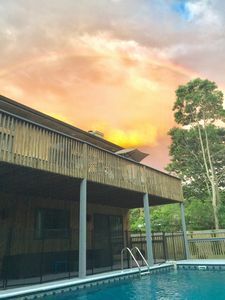 When you're ready to call it a night, look forward to retreating to any of the home's 3 spacious bedrooms, all featuring en-suite bathrooms and private balconies. 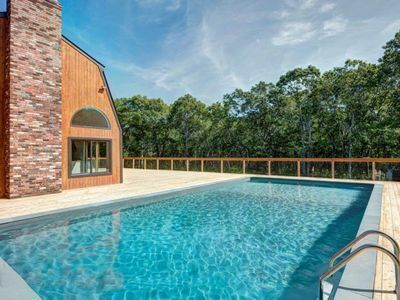 The home's outstanding outdoor space boasts a sizable wooden wraparound deck and private outdoor pool, which can be heated for an additional fee. 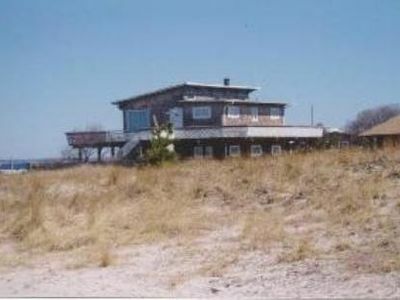 This fantastic residence may offer unbeatable privacy, but you'll never be far from the action either! 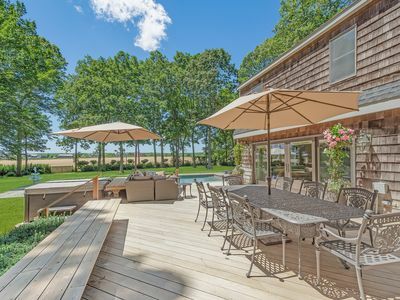 From here, you'll be just 10 minutes from East Hampton's famed Main Beach. 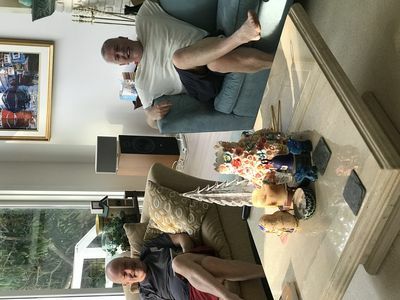 For indoor entertainment, pay a visit to nearby Guild Hall for a delightful theater production or one of the area's many local shops for some retail therapy. 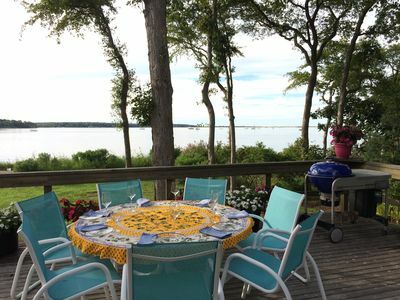 After an action-packed day, spend the evening indulging in spectacular local cuisine at one of the area's abundant excellent dining establishments. If you'd rather utilize the home's full kitchen, stock up on ingredients at Round Swamp Farm, where you'll find beautiful local produce. 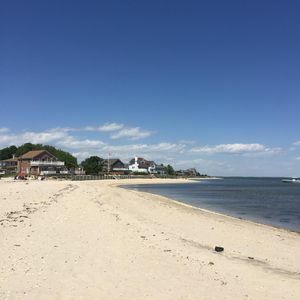 You are also close to all that The Hamptons and Montauk have to offer! Play a game of golf at the Montauk Downs State Park Golf Course, followed by a trip to the Montauk Lighthouse Museum. 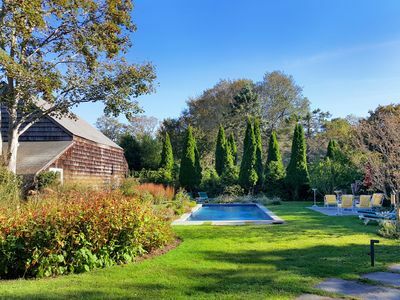 In the Hamptons, you'll find several vineyards and wineries like Wolffer Estate Vineyard - making for the perfect romantic outing. 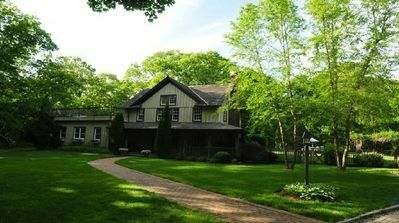 - Amenities include a wood-burning fireplace, 2 flat-screen TVs with cable and DVD players, fully equipped kitchen, private heated pool, free WiFi, in-unit laundry machines, multiple balconies, central heating and air conditioning, large deck, outdoor shower, fire pit, 2 driveway parking spots and much more! 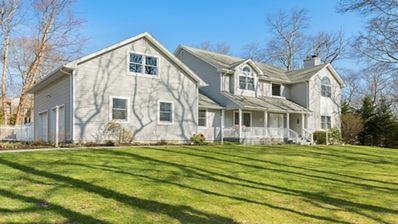 - Spectacular East Hampton location on 1 acre of land - 10 minutes from Main Beach! 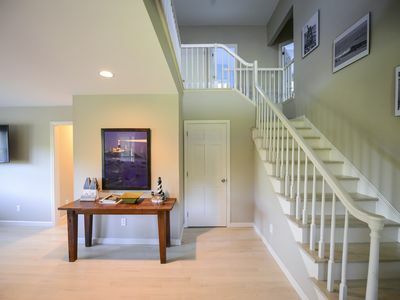 Easy access to town's renowned shops, restaurants, and entertainment! 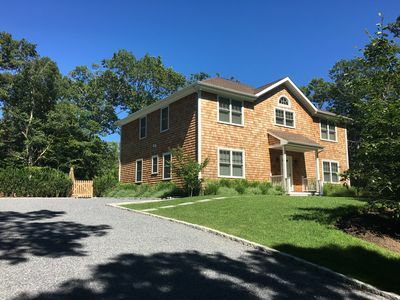 East Hampton Beauty, Newly Renovated, 4BR Contemporary all with Ensuite Baths! 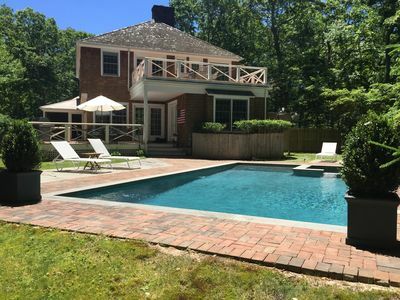 Gorgeous Amagansett Property Pool/Jacuzzi Minutes from town/ocean/bay. 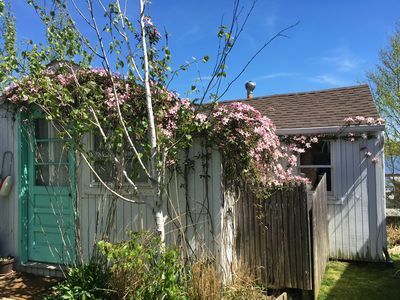 ** 5 STAR RATED 10 BEDROOM PROPERTY ** Sleeps 22! 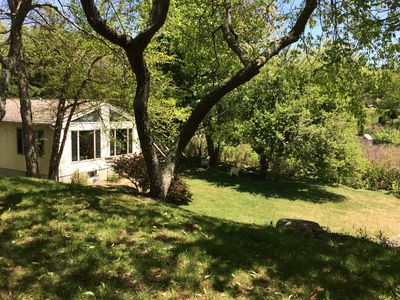 Secluded home w/private heated pool, expansive deck and views of the woods.